Photo by M. Angel Herrero, via Flickr. Click above to see the photo and more information on Flickr. 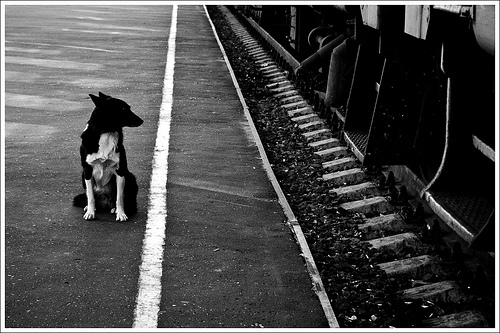 It’s back to Russia for the second time in the past week for today’s featured photograph, this featuring a dog on a train platform in Balezino, Russia. The train, notes photographer M. Angel Herrero, runs between Moscow and Irkutsk and is part of the famous Trans-Siberian Railway. If you would like to a submit a photo or photos of something transportation-related, post them to Metro’s Flickr group (40 members and growing!) or email them to sourcemetro@gmail.com. The photos we’ve featured can be seen in these galleries on Flickr. Or you can click on the ‘art of transit’ below to view our daily posts.